Master’s in Management students impress international business bosses. As the 2017-18 academic year drew to a close, many MSc in Management students spent their third term on modules offering experiential learning — in its simplest form, learning from experience or learning by doing. Most transferable and marketable skills are forged in “real world” settings and the competencies that most employers look for - employee engagement, team work, and leadership, to name a few - are best practiced in the “real world”, not sitting in a classroom. To assist master’s students to develop these skills the MSc in Management offered two experiential learning modules in 2018, both of which immerse master’s students in an experience and then encourage reflection about the experience to develop new skills, attitudes and ways of thinking. 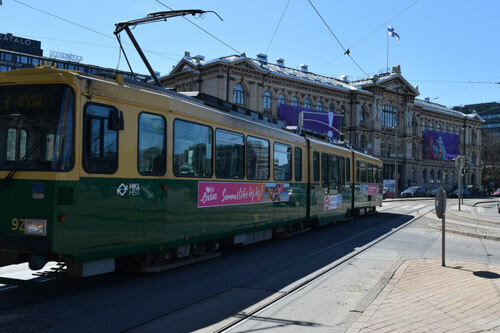 During the Start-ups module in Finland, students were given opportunities to bring “the theory to life” and gain insight into problems of 10 IT and education start-ups operating in Finland. Under the supervision of Dr Joanna Zaleska and Professor Stephen Thomas, groups of four students were asked to solve problems of developing a business internationally, securing markets and reaching new customers. 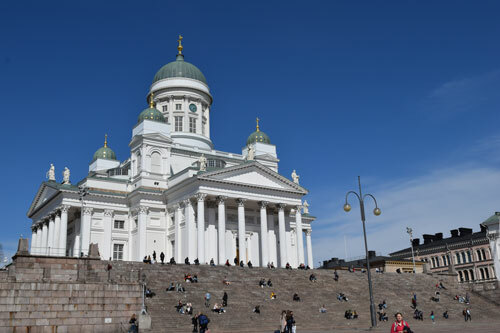 Student learning was enhanced because they were given the opportunity to operate outside comfort zones, in an entirely unfamiliar physical environment but also within the social and cultural environment of Finland. Very often, in the case of working for start-ups learning was disrupted and non-routine, emotion was involved and much of the learning was incidental or informal. Making something from these situations encouraged students to develop their resilience, tenacity, curiosity and self-direction in the context of Finnish entrepreneurial culture which is ranked as the most innovative, per capita, in the world by The World Economic Forum. 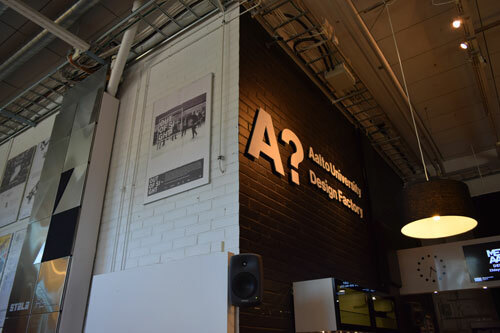 Ville Luukkanen from Aalto Business School Start-Up Center said he was impressed with the students’ choice to conduct interviews at short notice and in an unfamiliar environment. “The views and insights obtained for the report are unique and would not have been readily available to us otherwise,” he said. Jussi Simolin from Finnish start-up Innoduel said the student team he worked with uncovered valuable information about the company. ”It was new to me that 32 per cent of our customers are consultants, having not counted them in such a way before. It was also new to me that Innoduel actually fits to Finnish work culture. I have never thought of it that way but it is good point to remember. MSc Management Course Director, Dr Joanna Zaleska said taking students out of the classroom in term three provides them with a chance to build upon the foundations of interdisciplinary learning from terms one and two. “Outcomes of the experiential learning process are varied and often unpredictable and what one student takes away from the experience will be different from another,” she said. This module required students to scope a consulting project and clearly identify what could and could not be done within a very tight timeframe. Working in small teams, students applied theories and methodologies learned in the course, and managed relationships with their clients, who ranged from major multinationals to start-up businesses. At the culmination of the elective the students delivered their findings and recommendations to their clients as would any typical consultant – through a presentation and report. In the summer of 2018, under leadership of Cass Visiting Fellow Calvert Markham, an experienced management consultant, students worked on 17 real consulting projects from a wide range of clients.